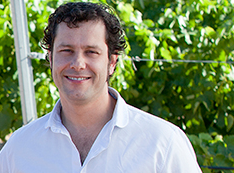 As Richard is the 6th generation of a family of winemakers, he was involved in his father Antonio's business from an early age to then go on and study Agronomous Engineering at Madrid University and then cut his winemaking teeth primarily in Bordeaux. On return to Spain, while making most of his father's wines at Palacio de Bornos for some 15 years he was also the invisible winemaker behind many of the early Ruedas that put the region on the map (Marques de Grinon, Lurton and Telmo Rodriguez) while simultaneoulsy making his own wines as far afield as Valdeorras, Almansa, Toro, Ribera del Duero, Leon and Cebreros. He has also worked in Puglia. Richard the wine maker is the soul of the wines of Menade's winery. Well trained and prepared in Spain, France, Hungary and Chile, among others, he has an air of genius about him, always developing and devising new vinifications. He truly believes, quite strongly, in the potential of autochtonous varieties, and Works at incorporating their maximum expression in his wines. There’s a certain yin-and-yang that comes along with talking to Richard Sanz, the winemaker who runs Menade in Rueda along with his brother and sister. Colour: Soft golden pale flashes. Aroma: Noted white, exotic fruit sensations such as pears in syrup. Wrapping in fragrances with typical provenance of the Sauvignon grape variety. Palate: Inviting fruity sweetness that opens to the fresh and natural acidity. Persistent and mild in the retro taste.